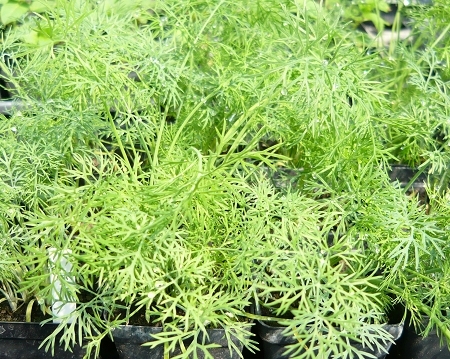 Boquet Dill (Anethum graveolens 'boquet') - Compact, dwarf variety. Bushy green growth for culinary use. Good in containers. Strong dill scent and flavor. Annual. Live starter plant in 3 inch container.